Finish (varnish, paint, oiled, unfinished etc): No varnish or staining medium brown coloured wood. 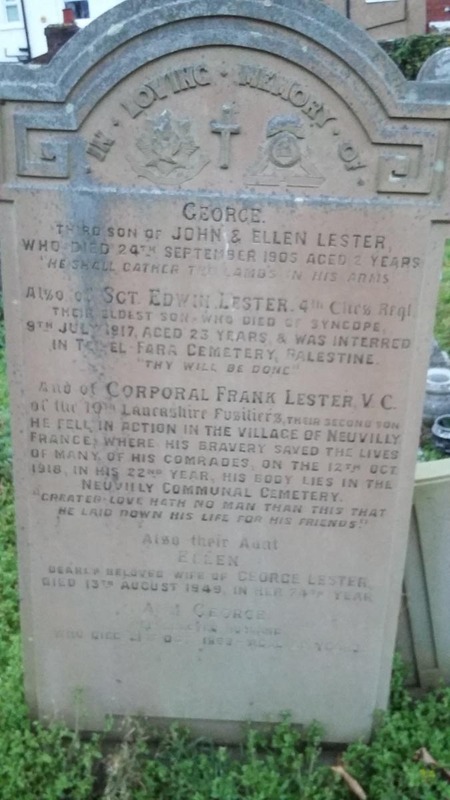 Frank Lester is buried in Neuvilly Communal Cemetery Extension. He is commemorated on the family headstone in Hoylake Holy Trinity Graveyard, there is no longer a church there but the cemetery survives. There is also a blue plaque to him on his former home of Millers Hey, Irby. Franks older brother Edwin Lester was in the 1/4th Bttn territorial force of the Cheshire Regt, raised in Birkenhead in 1914. The regiment landed in Gallipoli in August 1915 and were evacuated to Egypt in Dec 1915. Edwin died of Syncope (Heart Failure) aged 23, after the battle of Gaza 9-7-1917. He is buried in Beersheba War Cemetery, Palestine. 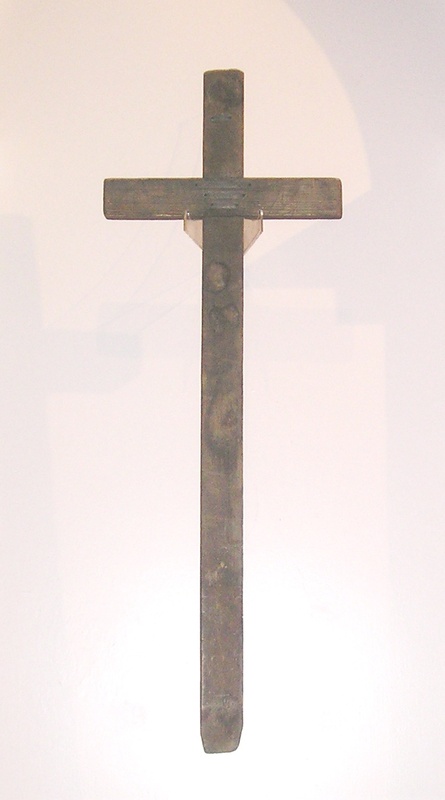 This cross was listed as being in a museum in Hamilton Square Birkenhead, which had closed in 2010. The significance of the cross was unknown to us at the time. While trying to locate another cross we thought was lost the Bromborough Pool one, we were given the name of Wirral Historical society, Colin Simpson from Wirral Museums solved the mystery for us he advised the cross was on loan to the Ashcroft Gallery because it belonged to a VC winner and his medal is also on display there. You can imagine our excitement it was our first VC. I discovered this information 98 years to the day that Frank Lester was killed. As my family were going to Kent on holiday two weeks later and were planning a day trip to London it was obvious the first port of call would be the IWM. Photographs are not allowed in the Lord Ashcroft Gallery, I was so delighted to finally be able to view the cross but nothing else. 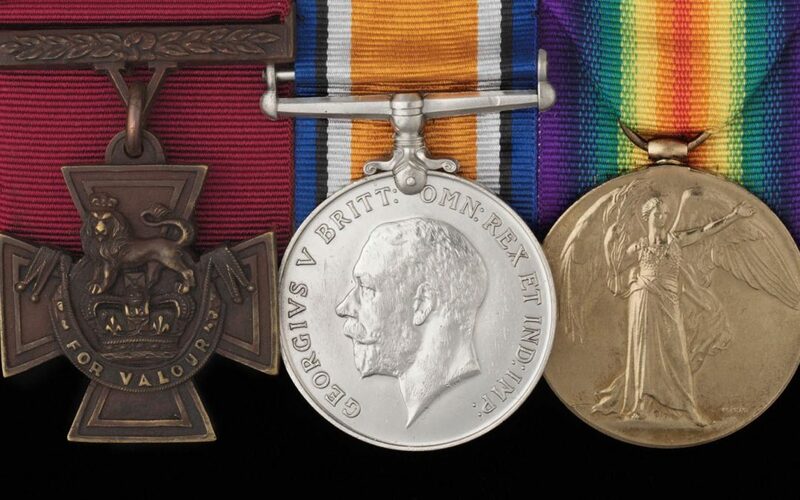 I contacted the IWM and a lady called Cate replied and offered to let us have a photo of the medals and the cross providing the wirral museum and the Lord Ashcroft trust gave permission. This they did on the day of asking and so we have our photos. 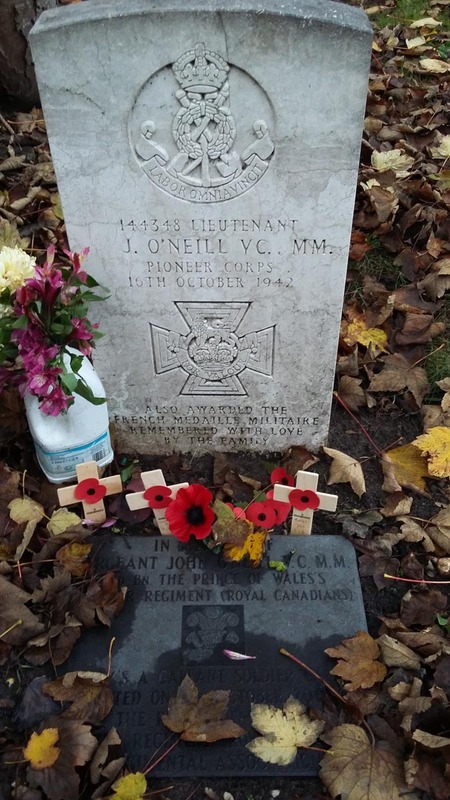 While researching where the family headstone of Frank Lester was I noticed that buried in that graveyard is another VC winner from the first world War John O’Neill who was presented with his medal on 2nd August 1919. He served in the 2nd Bttn The Prince of Wales Leinster Regiment (Royal Canadians). 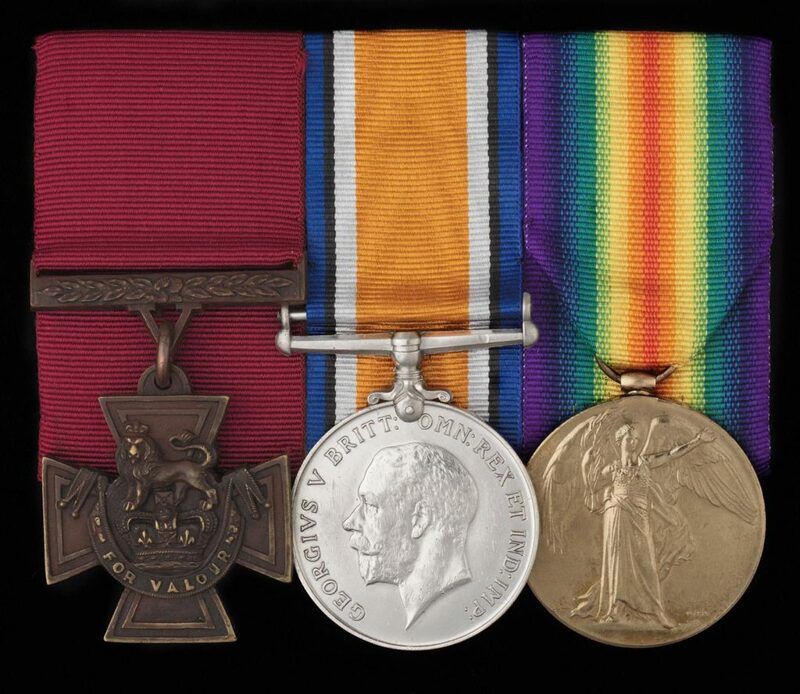 Frank Lester’s VC was put up for sale on the 18th of April 2002 and was bought for £78,000 by the Michael Ashcroft Trust. I’d like to thank Cate Pennington for her assistance in obtaining permission for the use of the photos and her interest in the project. Survey courtesy of Margaret Draycott. Photographs of the VC Gallery used with the permission.